In a cooker add Barley, Water, Salt then close the lid and cook it on medium flame. Heat a pan add Oil/Ghee, Cardamom, Clove, Onion, Bay Leaf, Ginger Garlic Paste and stir it well. Add Carrot, Potato, Cauliflower, Salt, French Beans, Turmeric Powder , Green Peas and Garam Masala. Add Barley to half cooked vegetable and mix it well. Heat a pan add Bhindi (Lady Finger), Salt and cook it. In a small bowl add Curd, Salt, Red Chilli Powder, Black Pepper Powder, Jeera Powder and mix it well. In a bowl Grate Cucumber add Red Chilli Powder, Jeera Powder, Salt, Dil Leaves, Fresh Yogurt and mix it well. 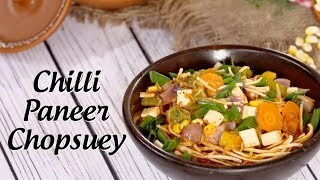 Learn how to make restaurant style Chilli Paneer Chopsuey By Ripu Handa only on Big Bazaar #KuchNayaTryKarein. Looking for the best birthday cake to bake? 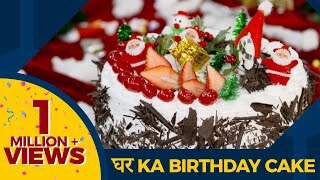 Check out this easy recipe to make a Homemade Birthday Cake Cook Along with Big Bazaar & Chef Varun Inamdar. 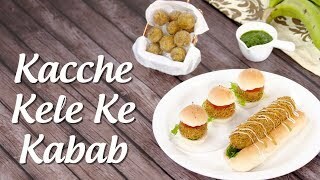 Ghar par banaye swadisht Kacche Kele Ke Kabab chef Varun Inamdar ke sath in #KuchNayaTryKarein.